Stay Connected to get the Latest Recipes, DIY & More! This Homemade Chicken Tortilla Recipe is winner! I’ll even give you two options: busy, busy, fast and easy or all homemade and full of love. And lets be real, some times you have to choose one over the other! Yes, click the link above for the recipe and the first of a meal that turns into three! Fresh veggies, olives, sour cream or anything else you can think of to make it healthy and fun! Take some of your cooked chicken and pull it apart. Bite size pieces, all kinds of shapes, shredded, chunk, it doesn’t matter. 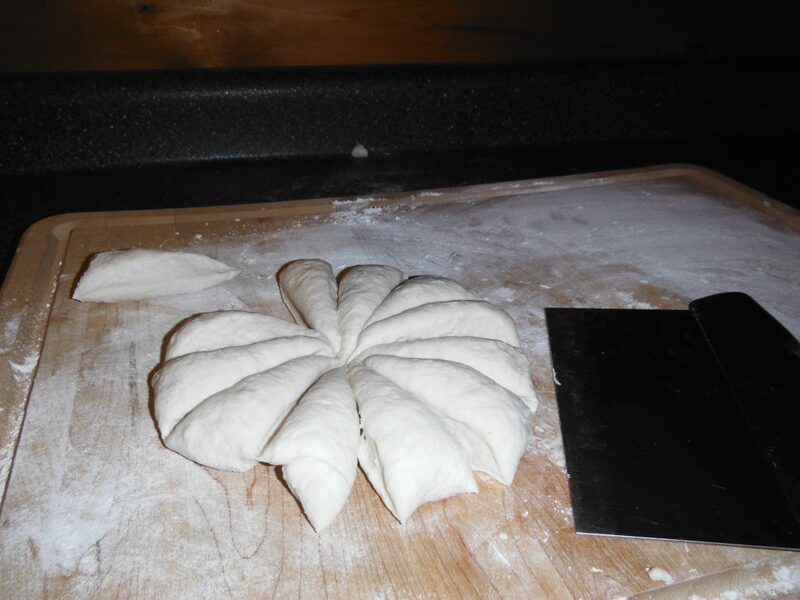 Toss it into a pan. Take some of your Taco Seasoning and shake it on the chicken. Again, you don’t have to fuss about this. A little seasoning or a lot, it is all up to you. Add a couple of tablespoons of water mix it all around and heat on medium for a few minutes. You are just trying to warm up the chicken. By the time you get the rest of your items opened up, the chicken will be ready! 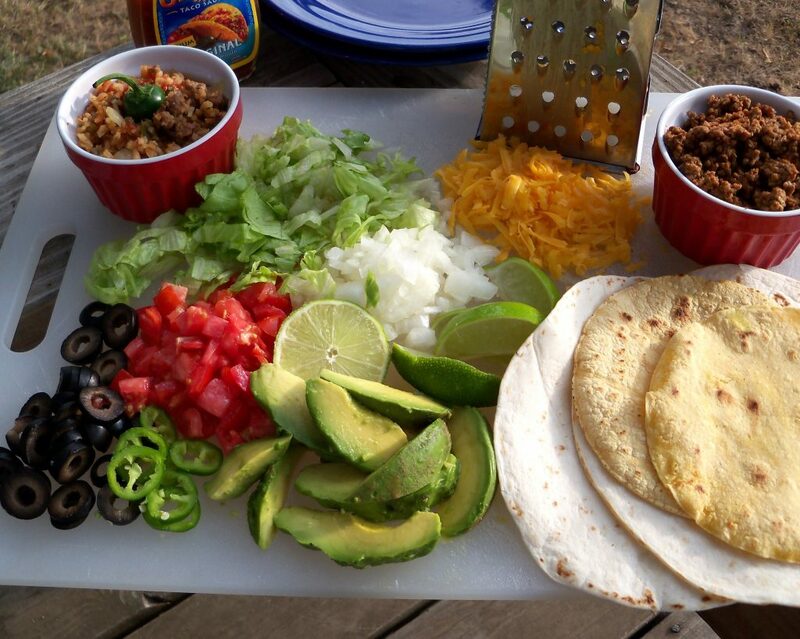 While your chicken is heating; take a large cutting board and cut whatever veggies you want to go on the tortillas. Put each in a little pile on the board. Put a handful of bagged salad on the board, a handful of cheese, a stack of tortillas. See where I’m going with this? Use the board to display the ingredients. It will look beautiful and it will look like you really put your all into this meal. Now sit back and enjoy a healthy meal that took you only minutes to make! This is the version for when you really want to show the love. It is basically the same as the above. 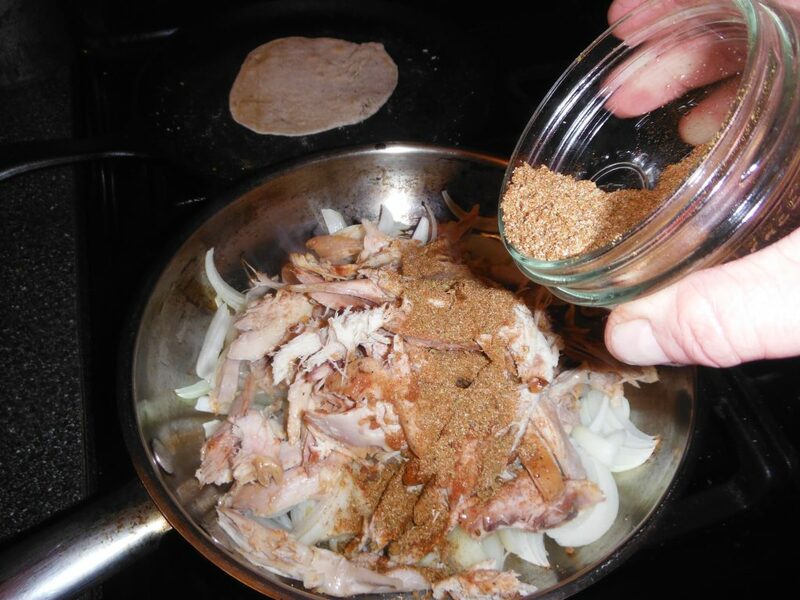 You will still use your leftover chicken, but you will use home made taco seasoning which is always going to be healthier and less expensive and you will make your own tortillas! Si mi amigo, you can do it! Preheat a large skillet over medium-high heat. 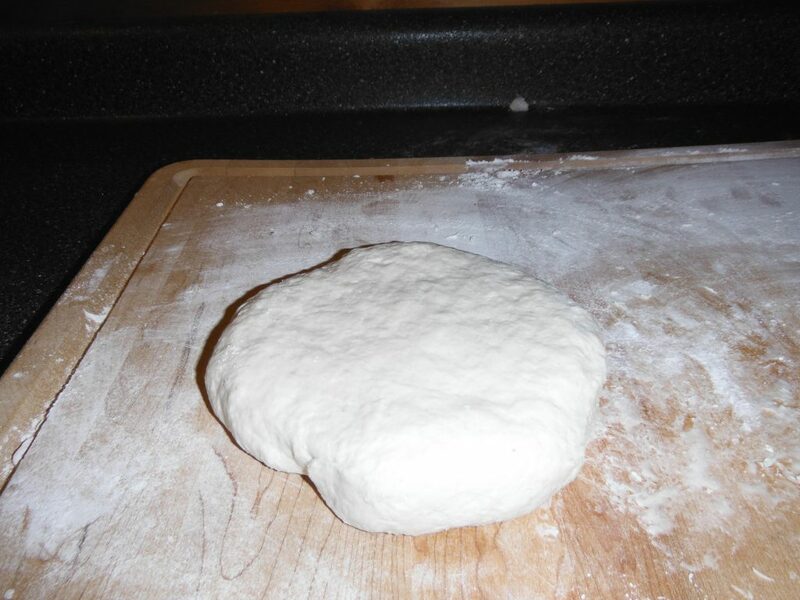 Use a well-floured rolling pin to roll a dough ball into a thin, round tortilla. Place into the hot skillet, and cook until bubbly and golden; flip and continue cooking until golden on the other side. 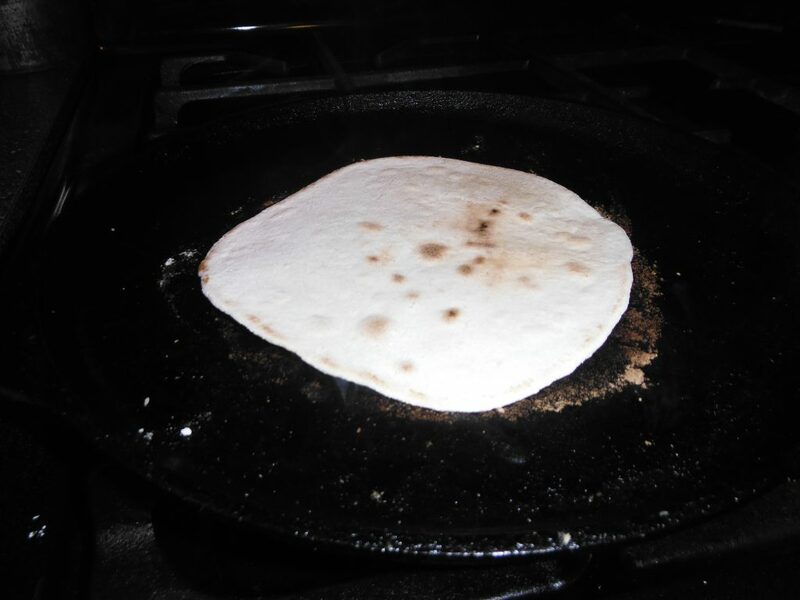 Place the cooked tortilla in a tortilla warmer; continue rolling and cooking the remaining dough. These tortillas for your homemade chicken tortillas are not going to taste like commercially made tortillas. But know, you are eating real food, with real ingredients and you made them! Muy bien! 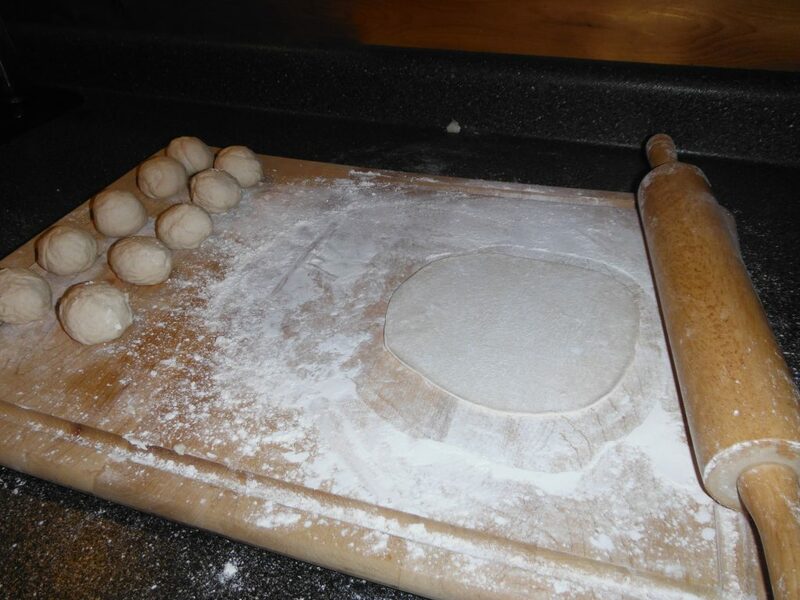 This is a snap after those tortillas but as equally exciting to make. You will see that with some very simple ingredients you can have taco seasoning that is not full of sugar, salt, MSG and all kinds of other things you can’t pronounce! I dump all of this into a mason jar, put the lid on and shake it up. You can’t get much easier than that! You wont need all of it so you will have this for another meal some other time. Bonus Time Saver! If you have enjoyed these recipes, please share this blog post with your friends and be on the look out for the 3rd of the 3 meals that we made from one Easy Italian Crock Pot Chicken. Coming soon! « Best Seed Catalogs – No such thing!